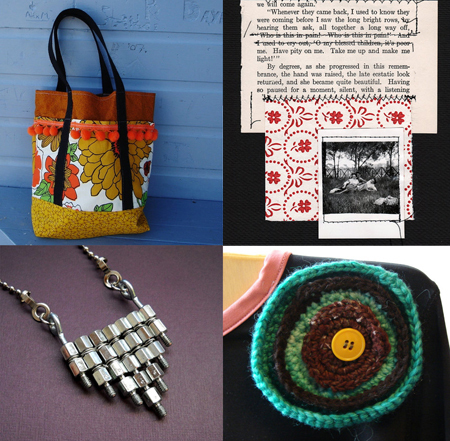 Today's Monday Mosaic features handmade art and craft that utilize found, reclaimed, recycled, upcycled, or similar such materials that were saved from going into a landfill, and were instead turned into something wonderful. 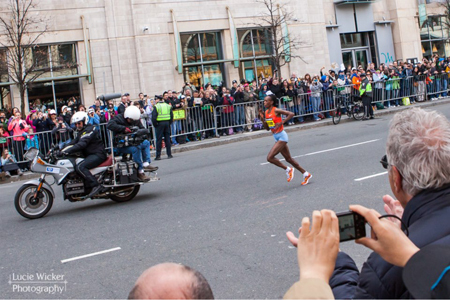 Photo by Lucie Wicker, Rita Jeptoo of Kenya, finishing in 1st for the elite women, photographed at the 2013 Boston Marathon finish line less than two hours before the bombings. The city of Boston and it's citizens, our city, our neighbors, ourselves, have been through a tremendous amount of turmoil and tragedy during the past seven days. Today marks one week since the devastating bombings at the 2013 Boston Marathon and we are still reeling, still trying to make sense of it all, and still healing many types of wounds. Today is also Earth Day, a day to celebrate life and recognize what we can do together to heal and sustain our world. Amy Hitchcock, Bev Feldman, Carol Johnson, Cristina Hurley, Jessica Burko, Lauren Teller, and Stephanie Putland. The Boston Public Library for providing a welcoming community space. Harvest Co-op Markets for contributing dry goods that we are using to make percussion instruments. City Feed and Supply for saving their egg cartons for us to craft with. 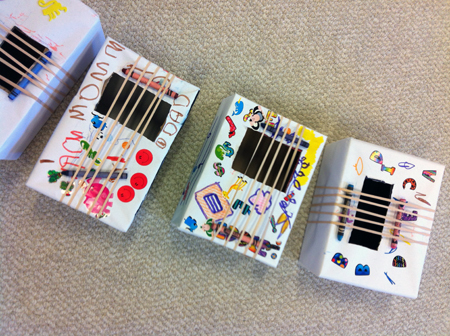 Stride Rite for collecting shoe boxes for making "lap guitars" and spirit boxes.